Jean Jenkins has been writing professionally since 1994. She has written medical research materials for the American Parkinson's Association, the Colorado Neurological Institute and the Autism Society of America. Jenkins has specialized in neurology, labor and delivery, high-risk obstetrics and autism spectrum disorders. She holds a Bachelor of Science in nursing from the University of Colorado. Imagine a world without sound and the frustration of trying to express what you feel or need to others. In America, there are approximately 28 million hearing-impaired individuals. Cochlear implants have brought hearing to some, while others in the deaf culture opt to keep sign language as their method of communication. Many deaf people feel one of their biggest difficulties is the hearing culture that treats them as though they are handicapped, people to be pitied or changed. According to the PBS documentary “Sound and Fury,” a fairly large percentage of deaf people—especially those deaf from birth—would opt out of the hearing world, no matter what current or future technologies were offered. Darby J. Leigh, a graduate student who was born deaf, states “losing deafness could be as terrifying a change as waking up with a different gender." In many ways, deafness is hardest on children. Language is learned from hearing it spoken by parents and peers. Deaf children struggle with communicating far longer than hearing children, as they must be taught sign language and the ability to read lips. They often can feel secluded and lost. Most small children go through stranger anxiety phases. Imagine the fear of a deaf toddler who, while riding in a stroller, is approached by an admiring stranger. Though the stranger might have friendly intentions, it is difficult for a deaf child to fully understand this by sight alone. Written English is based on the spoken word. Reading, writing and comprehension all require a higher language focus. Children who only learn to sign have trouble understanding teachers and peers. 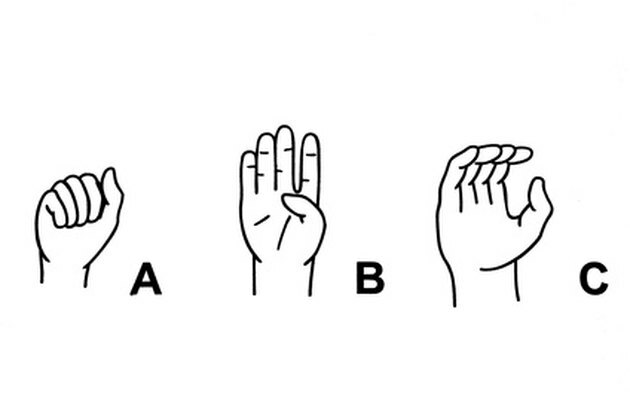 The Gallaudet Research Institute in Washington, D.C., tested a group of 926 deaf students, ages 17 to 18, in reading comprehension skills. The results of their tests were equivalent to those of the same tests given to hearing children in the fourth grade. The median literacy level of the deaf 17- to 18-year-olds was the same as hearing 8- to 9-year-olds in public schools. It’s important to note that these tests were based on comprehension skills of the English language and not I.Q. The World Federation of the Deaf, or WFD, was established in Rome in 1951. It is an international community that strives for equality, human rights and respect for all people, with a focus on deaf individuals. Better education is highest on the WFD agenda. Federal monies are lacking for most special needs children with disabilities. The Individuals Disability Education Act from the 1970s states that all children should be provided with a free and appropriate education. The problem is getting parents and schools to agree on what “appropriate” means. Proponents reason that, if a child is bright and capable of learning but learns in a different way than typical children, providing them equal education rights should be adhered to by law.